We’d love your help. 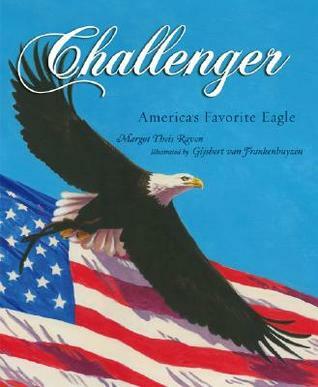 Let us know what’s wrong with this preview of Challenger by Margot Theis Raven. To ask other readers questions about Challenger, please sign up. A beautifully illustrated and written book about a beautiful bird. The book was very moving and educational. I especially loved the reminders that Challenger is not a pet but still a wild animal. Many books geared towards children often leave that out, but it’s an important distinction to make. For children and adults. I throughly enjoyed the book and would definitely recommend it to anyone with a love for wildlife, bald eagles, conservation or just a good true story. A great story to read to ki A beautifully illustrated and written book about a beautiful bird.